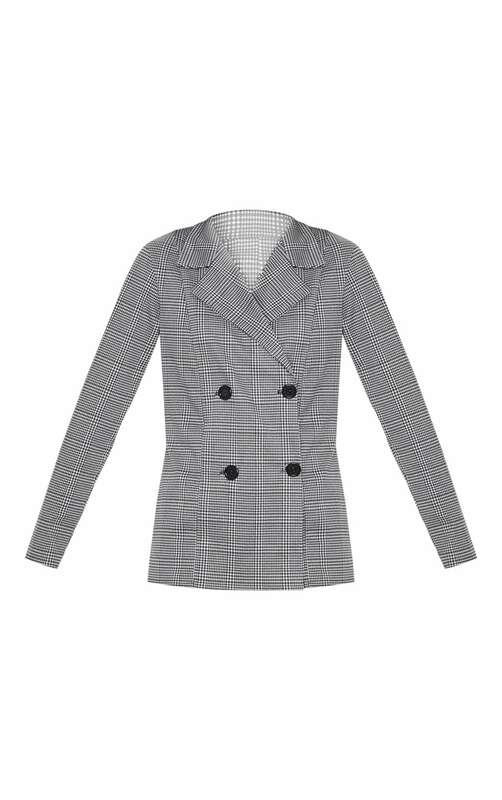 Keep it chic this season with this blazer. 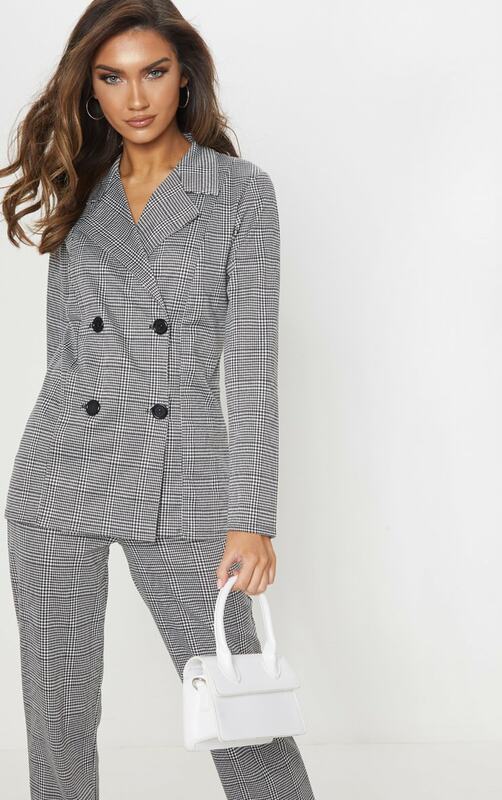 Featuring a black checked fabric with long sleeves, button detailing and tailored fit, you can't go wrong in this. 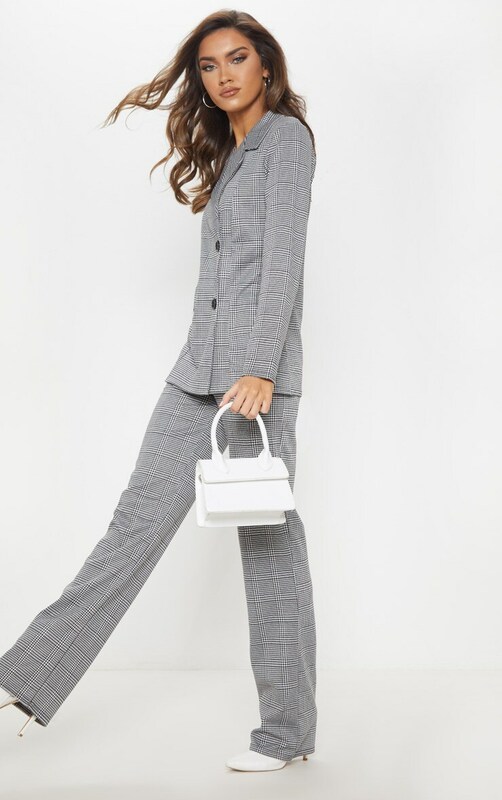 Style with the matching pants and add white boots and a mini handle bag to complete the look.